It's hard to let go as a parent... especially when, for 11 years, you enjoy the alone time that goes away when your daughter goes it on her own. Extra Inning Softball is excited and proud to announce that we are partnering with one of the biggest and most successful softball sites, Softball Is For Girls, to share content and work together to promote the sport we all are passionate about! 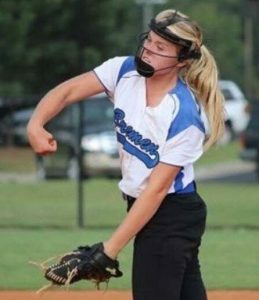 The site, which is closing in on a quarter million followers, was created in 2010 by Stef Daniel, a softball mom of four beautiful young athletes, as a way to bring more recognition and interest to the amazing female athletes of fastpitch softball. 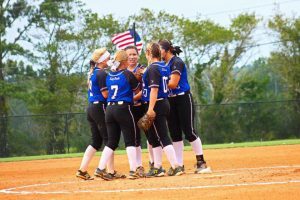 Softball is For Girls provides a wholesome outlet online and on social media for softball families and fans to connect and bond over the sport of softball, and has quickly grown to be a valuable resource among the softball community. Extra Inning Softball will frequently run columns by Stef and share our content on her site as well… and be sure to check out the Softball is For Girls store where you can get all types of great gifts—from cool shirts to towels to yard signs! 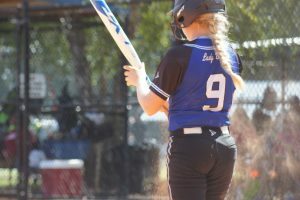 In her first blog provided to Extra Inning Softball, the softball mom reminisces about the great experiences she shared simply by driving her young athlete to practice and how, once her daughter got her driver’s license and could drive herself, how much she would miss the mommy-daughter time! It was a regular Monday evening… except for that it wasn't. She drove herself to practice today. In her own car. She loaded up her gear in the trunk, hopped in the driver's seat with a quick swish of her pulled-up-in-a-pile blonde hair, wearing her black softball pants with the hole in the knee, started the car and drove herself the longest six miles of my life to the field where she has been practicing for as long as I can remember. Who would have thought that a daughter driving herself to practice could be such an emotional experience? I stood at the front door a long time, watching her taillights disappear out of sight, around the corner of our street and into the dusk and then… I cried like a baby. Just yesterday—and I swear it was just yesterday—she and I were at Wal-Mart picking out a hot pink batting helmet and choosing a bat just the right length based on the colors she liked best for her first tee-ball practice. Her pink and white glove barely fit her tiny hand and she flinched every time—the entire season in fact—that anyone threw a ball at her. 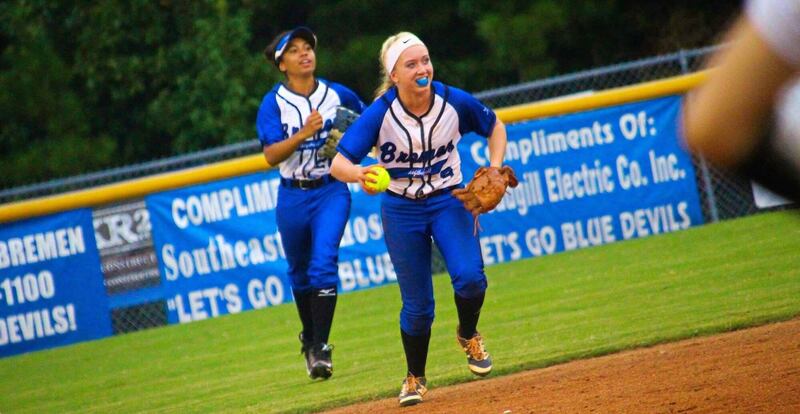 Once that season, she ran the bases backwards and slid over home plate like she was diving into a pool… that same blonde ponytail flopping around her face. When she stood up, she looked over at me in the bleachers and threw up her hands as if she had just won the race of a lifetime. That was her first “home run” and it didn't matter that she ran it backwards or that she was out before she crossed home plate. That was the moment she fell in love with this game. The exact moment. And after this game we went for pizza and she got a birthday cake-flavored sundae with sprinkles on top and told our waitress that she had hit a home run! Then, in the blink of an eye, years passed and the rides to practice and lessons were our time. As a parent, sometimes you get to know and love your daughter's teammates like they're your own kids. Sometimes her friends joined us and the car smelled of French fries and cleats and was full of laughter and giggles and chatter. We got ICEES on the way home that left their smiles stained with blue and red mustaches. Some of these same friends are still around and during those car rides to practice, and then to games, and then home for spend the night parties afterwards, I got to know them and love them and feel as if they, too, were my daughters. And now, they are all driving themselves to practice. Some days the ride to practice was filled with her trying to get homework done and cram for tests, a little frustrated trying to juggle it all. Other times, it was then, during that ride, that she told me her deepest and darkest feelings, that we became friends and I got to see my daughter as the person that others see her as, and be her friend. When you have a softball kid, the friendships that develop can be between mom and daughter too. Other days she talked about the exciting events that happen to young girls growing up right before your eyes. She laughed and she smiled and she chattered endlessly about things. Often, it was during these rides that I gave her advice from everything about her softball swing to boys to problems with friends. Other times, we talked about her future and her plans and her hopes and her dreams. Sometimes, admittedly, I wished she'd just be quiet but I knew that this day—today—was coming. Over the years that I drove her to practice, I never really thought seriously about this day. I knew it was coming, but who knew it would come this fast? Who knew it would happen to us? 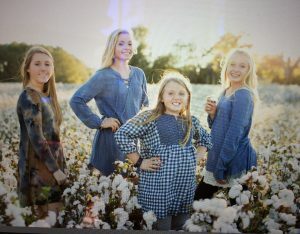 Stef Daniel has four beautiful daughters... and credits softball to a large part in getting to know them better and what they want to become in life. Who knew how much, on the very first day she drove herself, I would miss being the one to chauffeur her around, to listen to her endless stories, to be in the driver’s seat while she went from an ice cream cone-eating, pink-helmeted, backward home run-earning tee-baller to a chatty pre-teen to a phone-scrolling zombie teenager beside me to now a kid who can drive herself to practice all by herself. And here I stand, at the front door, replaying the last 11 years in my mind. A reminiscent highlight reel of some of the happiest moments in my parental life, spent in the car with my daughter on the drive to practice, while I got to know her as not just my daughter, but my friend. And all because of this game we LOVE!